3) you don’t mess with history. We all remember 33 year old Lowe from his sister's Trixie's book. He's one of 5 Mancinkus siblings living in Whynot, North Carolina. His siblings are a vet, a lawyer, a farmer and a bakery owner. Carpenter/town handy man Lowe has recently been arrested for trespassing and destroying private property! The family had to sell the old & empty Mainer House in town, because renovating it would've been too expensive. But Lowe loved that house. He hates that some stupid New York lady bought it to destroy all the old charm and sell it again. But that's not Mely's plan. She's in town to stay. She fell in love with the house and its history. And she also might fall for the carpenter who has been ordered by the judge to work on her house for 250 hours! She hates his guts .... but he's not really all that bad, now that she's getting to know him and his reasons for doing what he did. WHAT WILL HAPPEN TO MELY & LOWE? Another adorable romance in this great series!!! Such a sweet and cute and hilarious love story! And now a stranger from New York is in town - and she brought her extremely colorful gay bestie with her. Hilarious!!! Lowe's adorable grandpa and some other gossiping townspeople get their own POV every once in a while! LOL! Lowe's whole family is awesome too. There are still lots of siblings with interesting stories to tell!!! 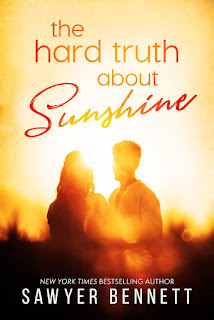 This was a great southern romance, about the cutest town and its people! I loved it! I have a HUGE AS problem! Sawyer always uses way too much of those ☺ You know the AS's I'm talking about? The AS that could and should be exchanged for a SINCE or BECAUSE ☺ It's a British thing (if it's a thing at all!) and it doesn't have anything to do in an american book by an american author! I really don't want to insult Sawyer. I love all her books, and maybe nobody ever told her she does that.... Sawyer....please stop doing it. But pfff who am I to tell her what to do, so just forget I said anything! It doesn't stop her books from being great! I have NO idea why this is bothering me so much, but as soon as I see one AS in Sawyer's books, I get sooo annoyed! Grrr. 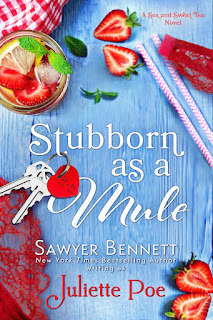 We met our protaganists Lowe and Mely in the first book in the first book, Ain't He Precious, however you could read Stubborn As A Mule as a standalone, but why would you want to? Our lovelies are both pig headed and stubborn, which makes for a lot of fun - for those outside their range of fire. I adore Lowe - in the first book I felt he was a little bit of a spoiled brat, but in this one we get more of why he acts like he does, and it is all kinds of great. 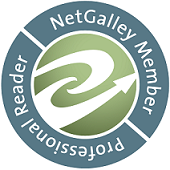 Mely is the outsider moving into town - gah, do I know that feeling, having moved from the city to a small town a while ago. You can't help but like her thought. And when her gay best friend comes to visit, oh he is al sorts of awesome. Reminds me a little bit of LaFayette from True Blood (may he RIP) crossed with RuPaul's Drag Race. I love the small town vibe, the cute and quirky characters - especially Lowe's family- they just crack me up. 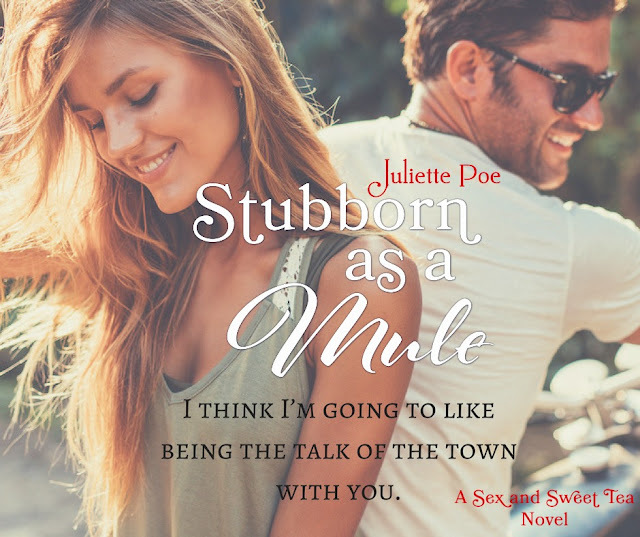 I know Juliette Poe is the sweeter side of Sawyer Bennett, but I did miss the heat that we come to expect from her writing - but that is just me and my pervy side! Stubborn As A Mule is sweet and cute and adorable, and I can't wait to see what comes next in Whynot. Things in Whynot, NC have gone to the dogs, and that’s just the way the town’s only veterinarian, Laken Mancinkus, likes it. But she’s about to have her hands full when the new dog in town, and his gorgeous, Yankee owner, show up at her door needing help chasing down some wily, run away sheep. 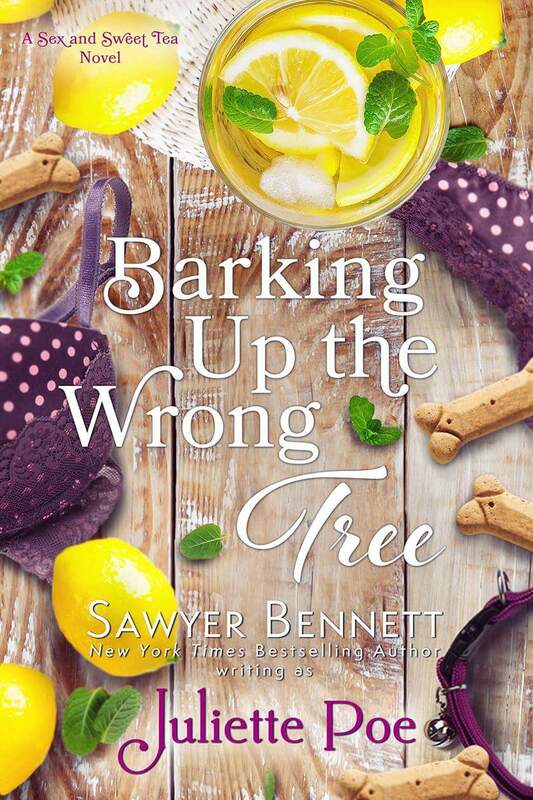 Barking Up the Wrong Tree will have you howling with laughter when it releases on September 14, 2017! There’s a new farmer in Whynot, NC, and she’s proving to be quite the forbidden temptation for Colt Mancinkus, the youngest of the Mancinkus clan. 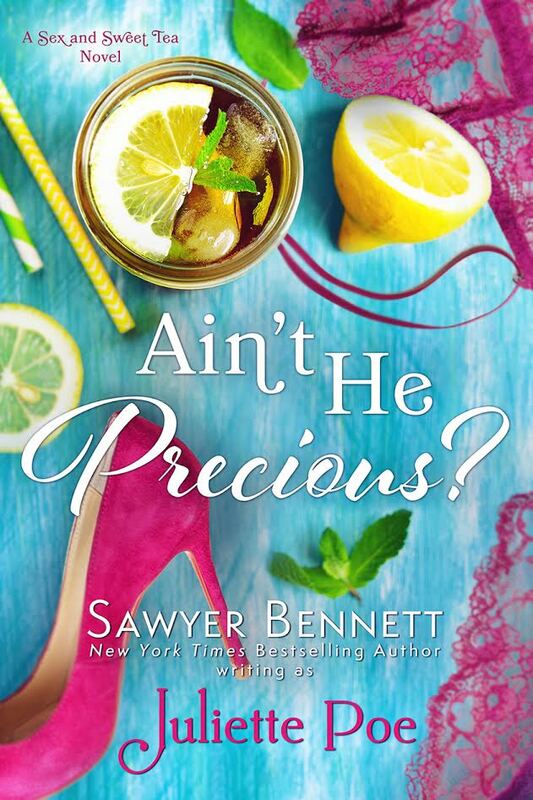 As pretty as she is sweet, Colt can’t help but be drawn to her…peaches. No really, she’s a peach farmer. Get that mind out of the gutter and down to the farm in Pretty as a Peach, releasing December 7, 2017! 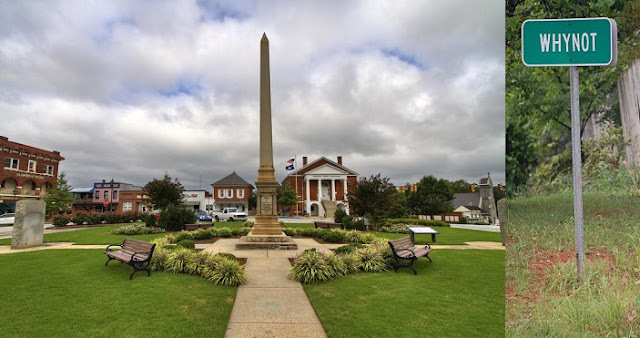 Larkin Mancinkus prides herself on making the town of Whynot, NC just a little sweeter. As owner of Sweet Cakes Bakery, Larkin gets all the town gossip – the sugar, the spice, and the everything not so nice. So when she finds herself on the tip of everyone’s tongue thanks to an encounter with someone tall, dark, and handsome, she learns the true meaning of ‘if you can’t stand the heat, get out of the kitchen.’ See what’s cookin’ in Gimme Some Sugar, releasing March 8, 2018!